This meal plan is for women who have already taken steps to lose weight and are now looking to tone up their muscles. 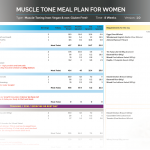 This meal plan will already factor in weight loss elements to maintain low body fat levels, however, this plan is ideally designed for women who are already in a weight training system and want to push it to the next level. We wanted to create something real and it’s super simple – if you aren’t ready to commit for the 8 weeks, don’t waste your money. You need to be ready! Going through a meal plan is hard if you are only 50/50 about it in the beginning. You have to be prepared to put in the effort, follow a system, and of course, a good exercise routine. 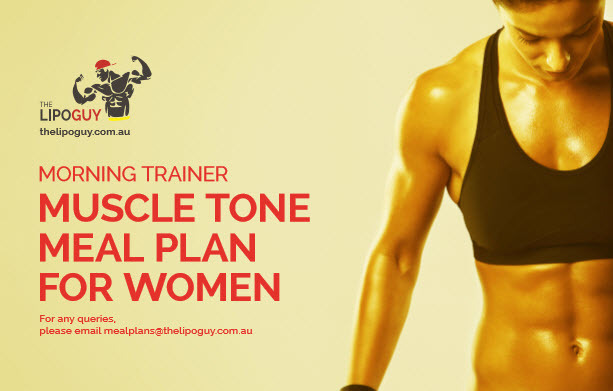 These plans have been specifically written for people who are serious about achieving their goals. 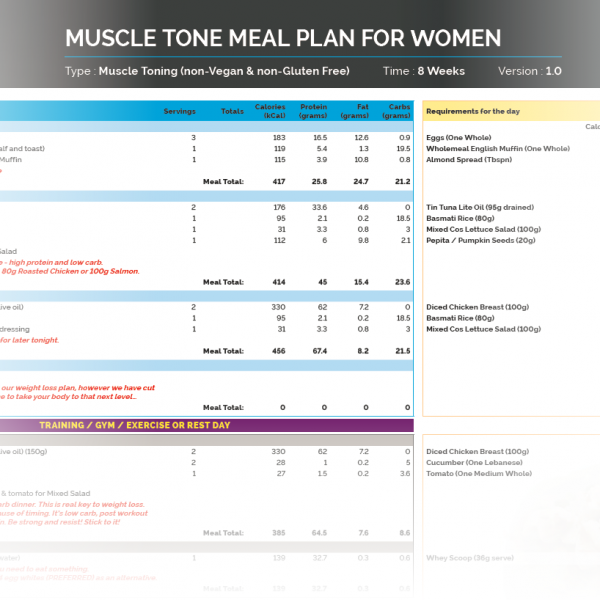 A considerable amount of time has been put into these plans to work out exactly what foods need to be eaten and more to the point, the quantities for each meal so that you can get the the best results. Our plans are fun and realistic. Apart from the core meals, every day is different and it’s not just boring meals without flavour. A lot of the food on our social media platforms are delicious, healthy, and directly related to the plan. This is what makes it real. If you follow us on Instagram or Facebook, you can see that we practice what we preach, and we aren’t just some fitness model brand selling you a program telling you what to eat to look good. Which in fact, how many times has that really worked for anyone? If you stick to the plan, you will get the results you are after! We know it! We’ve tested, & proven it! Alternatively, you can contact us directly through our website via the contact page. 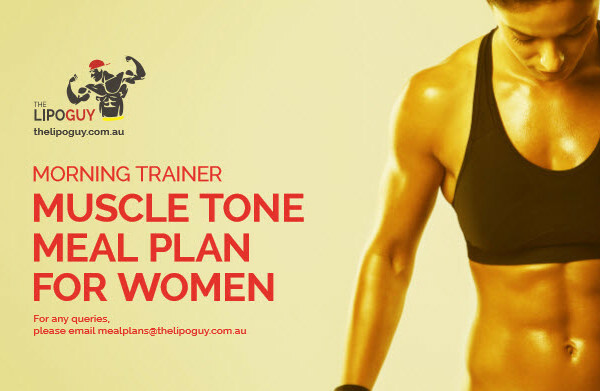 – Specifically written for women who want start toning muscle, and not looking to drop too much weight.